This programme is ideal if your qualifications and English language skills fall below the entry requirements for your chosen undergraduate programme in an Art, Design or Media subject. The course lasts for 2 semesters and offers you the opportunity to develop your English language and study skills, combined with the study of subject-specific modules. The first semester focuses on the key skills across all areas of Art, Design and Media whilst the second semester is when you specialise in your target area e.g. fashion, fine art, textiles, animation or design. In addition to the specialism modules, the programme provides a solid foundation in the core knowledge and skills that the University recognises and will help you to succeed in your future studies. The programme is multidisciplinary and upon successful completion you will be guaranteed a place on one of our undergraduate degrees in an Art, Design or Media subject area. This course will introduce you to life studying in the UK and will develop the core academic and English language skills you will need to progress on to an undergraduate degree with Northumbria University. Four of the modules you will study on this course will be focused on preparing you for undergraduate study in the UK. You will focus on study techniques, reading academic texts, report writing and improving your communication skills, all of which will help you in your undergraduate studies. In addition, weekly topics of global studies are used across two modules to develop a broad understanding of core issues and how they can affect ADM.
You will also undertake 2 modules that are unique to the International Foundation Programme in Art, Design and Media. These will give you a platform from which to go on and study one of our many degrees in these disciplines. The first of these modules will introduce you to art, design and media and focuses on the core skills that are fundamental to all key areas of Art and Design. In the second semester you will be preparing a portfolio of work, specialising in your target area, be it fashion, fine art, textiles, animation or design, drawing on all the experiences you have gained on the course until that point. The programme specifically develops your awareness of academic culture in the UK as well as intercultural issues to enable you to integrate well into student life within a UK university. You will be encouraged to participate fully in lectures, seminars and project work as you develop your independence. The intercultural skills that you learn will also be an important employment tool that will be useful for you in the future. During your studies you will be invited to events within the University and the opportunity to see work by a range of other students at different stages of their studies. You will also be able to visit some of the region’s key galleries to learn from real exhibitions. Upon successful completion and subject to specific entry requirements, you can go on to study a range of Art, Design and Media undergraduate degrees at Northumbria University. Following completion of your International Foundation Programme, entry on to your chosen undergraduate degree will be subject to meeting the Academic and English language requirements and a submission of an enhanced satisfactory portfolio. This module introduces students to academic writing and enables students to acquire skills in essay and report writing, basic research, and academic conventions. The main focus is on planning, outlining and constructing coherent discursive and persuasive essays and research reports. This module provides the platform to cover a range of core skills in art, design and media. Students begin the programme with a diverse range of levels & experiences and this module aims to ensure students have a clear understanding of the basic skills required to progress forward onto their undergraduate studies. This is achieved through building on existing knowledge and introducing new techniques & practices to students. The module is organised and delivered in weekly topics/themes over the whole semester, with a focus on experimentation. In this module, students begin to focus on their chosen specialist area with the aim of producing a portfolio for interview. 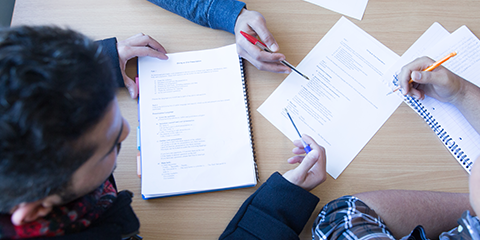 Work is set through project design briefs – these range in duration and allow students to develop work over an extended period. Project work ensures students understand how an idea becomes a finished piece of work – an essential skill for undergraduate studies. Teaching sessions also include group crits and discussions about work allow students to develop how they present their work. The modules you will study do not require you to purchase additional textbooks, but you should be prepared to buy some materials for the art, design and media modules. 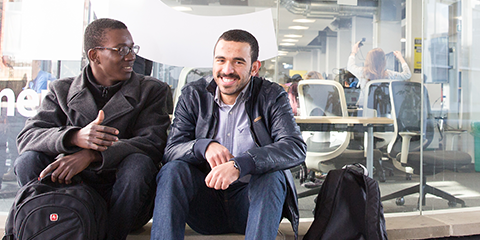 When you are ready, you can apply online to study the International Foundation Programme in Art, Design and Media. Applying online allows you to upload all of your supporting documents and you will automatically receive your student application number. When applying you will need to choose the undergraduate degree course that you intend to progress on to after your International Foundation Programme in Art, Design and Media and you must state this on the application form. If you are accepted you will receive one offer letter for the International Foundation Programme in Art, Design and Media followed by the appropriate degree programme. 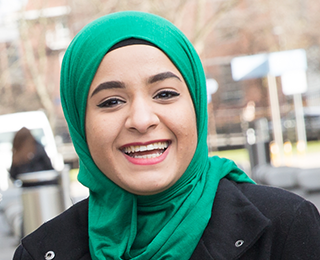 Once you have successfully completed the International Foundation Programme and achieved the required grades, you can gain direct admission onto your chosen degree at Northumbria.